Kansas Statehouse, Topeka. Image from Wikimedia Commons. 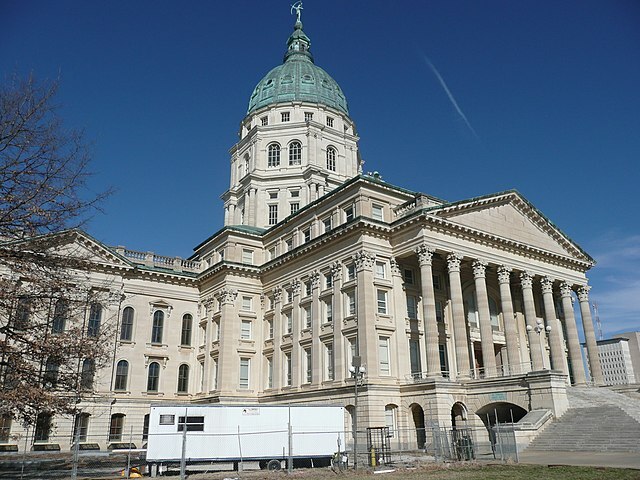 I hate to follow up a post about moving on from the ignorance of the past with something that strongly suggests a return to past ignorance, but the Kansas state legislature seems likely to pass a bill that would allow for the quarantine of people with HIV, along with hepatitis B and C, and tuberculosis. The bill itself eliminates the court order presently necessary for emergency personnel to have a patient tested for certain infections when the personnel have been exposed to said patient’s blood. Critics like D. Charles Hunt, Director of the Kansas Bureau of Epidemiology and Public Health Informatics, and Cody Patton of the AIDS service organization Positive Directions, Inc. say the law will put people with HIV at risk for intimidation and discrimination, especially in rural areas where people may be ignorant of how HIV is spread. Of course, HIV is not transmitted in the same way a tuberculosis, and emergency personnel using universal blood precautions are at essentially no risk of contracting the virus from an HIV-positive person. Even in the case of an accidental needle stick or scalpel cut, post-exposure prophylaxis is available, and dramatically reduces the probability of transmission. So it seems that ignorance about HIV is a problem in Topeka, too. One thing that comes up consistently in oral histories is the problem of conspiracy theories around HIV and AIDS in black communities. These can take many forms, from the idea that the government created the virus to the suspicion that a cure exists but is being withheld because the epidemic has been immensely profitable for the pharmaceutical industry. Studies have shown that belief in such theories correlates to lower adherence to HIV medications, which in turn can quickly limit the range of medical options people have to treat their HIV disease. A friend in medical school told me that he has seen people–young people–on AZT as a treatment of last resort because non-adherence to their drug regimen rendered all of the newer, better, less toxic medicines ineffective. 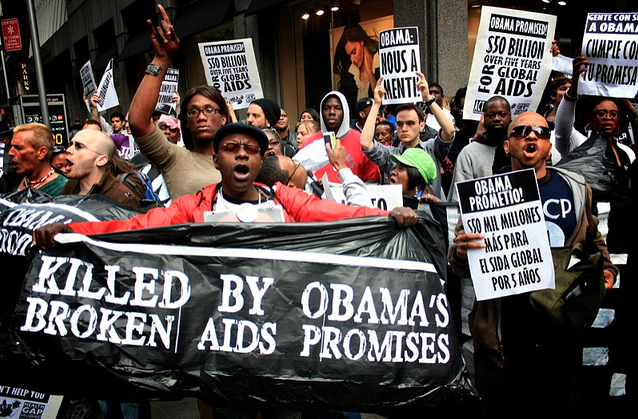 Conspiracy theories about HIV among African Americans don’t come from nowhere–they emerge from the collective, historical memory of slavery, Jim Crow, “Mississippi appendectomies” (i.e. forced sterilizations), and the Tuskegee syphilis experiments, as well as the everyday racism that African Americans encounter in medical settings. But that doesn’t let the government off the hook for actually making them seem more valid with laws like this one. Via Joe.My.God. and the Kansas City Fox affiliate. Stew Lauterbach or the Howard County Historical Society has completed an oral history project with residents of Kokomo, Indiana, the hometown of Ryan White. After doctors diagnosed White with AIDS in 1984, Kokomo schools barred him from attending out of fear of his illness. White became a national celebrity during his legal battle to attend school in Kokomo, and the town became a symbol of intolerance for people with AIDS and ignorance about the ways that HIV was spread. As Gretchen Frazee’s piece for All Thing Considered (link below) makes clear, feelings among Kokomo residents about the town’s reputation–and the oral history project itself–vary widely. Hopefully confronting those uncomfortable memories, and the historical legacies of both White and Kokomo, can bring some healing and offer lessons for the present and future on tolerance, equality, and justice.